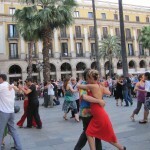 If you want to get to know the tango community and dance tango in Barcelona, there is a lot to discover. 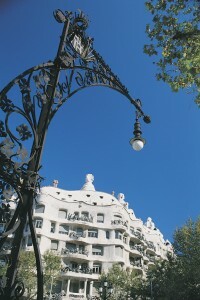 You can choose between a number of milongas, tango concerts and other tango events. 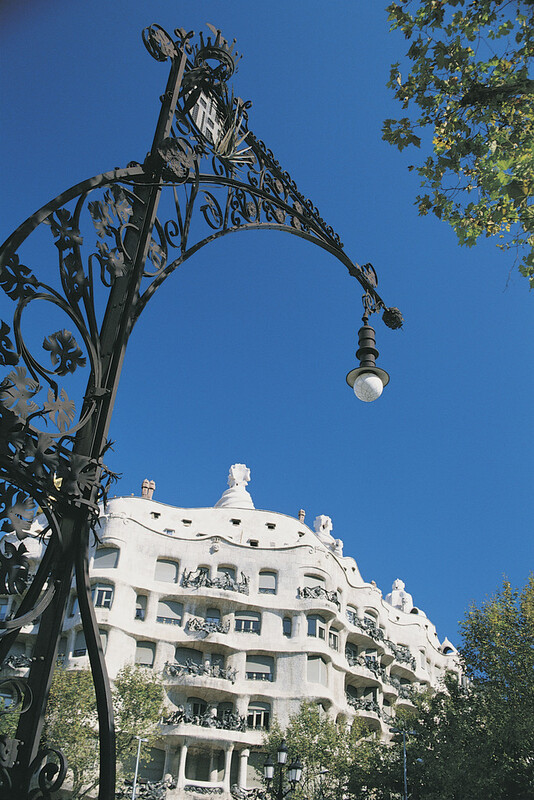 The tango community of Barcelona is dynamic, creative and growing all the time. UP-Tango Designer moves a lot around in the tango community of Barcelona, not only to present her tango clothing fashion label but also because she loves to dance tango herself. Highlights of the tango nightlife in Barcelona are the concerts of the tango singer Sandra Rehder, a good friend of Ute’s. She was singing on the Tango Flash Mob last summer on Plaza Real organized by UP-Tango in honor of the tango legend Carlos Gardel. On February 24 you can see Sandra live in concert with her tango quartet in the Jamboree Jazz Club. Also the Milonga Bien Pulenta in Pipaclub is a great opportunity to get to know the tango culture of Barcelona. The milonga takes place every Monday and Tuesday organized by Pablo Maidanik and Giovanna Lacorazza. Find a dance dress that matches the occasion on www.up-tango.com! Tango dresses, dance skirts and tango tops- fashion design inspired by the cosmopolitan dance community and of course by tango in Barcelona! 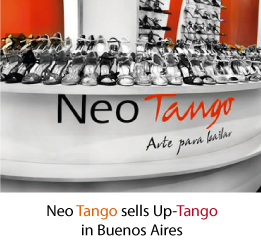 Visit the UP-Tango Online-Shop to see the whole collection of elegant and urban tango clothing.